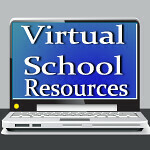 Virtual School Resources: Fun Crafts with PVC Pipe! Who knew kids could have so much fun with PVC Pipe? Building your own waterpark is a great way to beat the heat! They can even build a goal for soccer practice! This data in this infographic was assembled by Commercial Industrial Supply, a leading pvc pipe and fittings supplier. What could you build? Send me your photos!